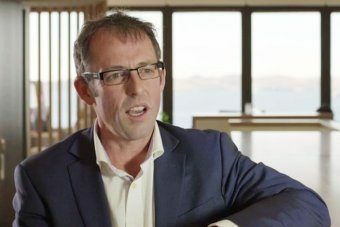 "Prawns offer potenial to deliver higher margins than salmon"
Tassal hedges bets on Australia’s prawn market for growth. Tasmanian salmon farmer also considering multi-purpose RAS facility for larger smolt. In September, SalmonBusiness reported that Tassal had acquired three farms belonging to prawn farmer Fortune Group, with a focus “to grow over 3,000 harvest tonnes per annum in the next three to five years,” said Ryan. Prawn earnings will commence in 2H19. Tassal’s AUD 30 million investement in the new Proserpine Prawn Farm will go on the redevelopment of around 200 hectares of land-based ponds, which ultimately will increase volume by around 2 – 3000 tonnes; a redeveloped processing facility; and redeveloped hatchery, with scope for a domestic breeding program. In the presentation, Tassal wrote that its new diversification strategy into Australian farmed prawns offers the potential to deliver higher margins than salmon, with a shorter working capital cycle. The company explained that prawn EBITDA $/kg is currently 2.5 times that of salmon, with a lower working capital cycle – Salmon takes three years vs a prawn that only takes nine months. “Not only a risk mitigation path, but should become a core margin growth platform from FY2,” it added. In the presentation, Tassal said that they were actively considering a Multi-Purpose RAS Facility to either provide larger smolt or more smolt as our growth aspirations and lease optimisation requirements dictate.